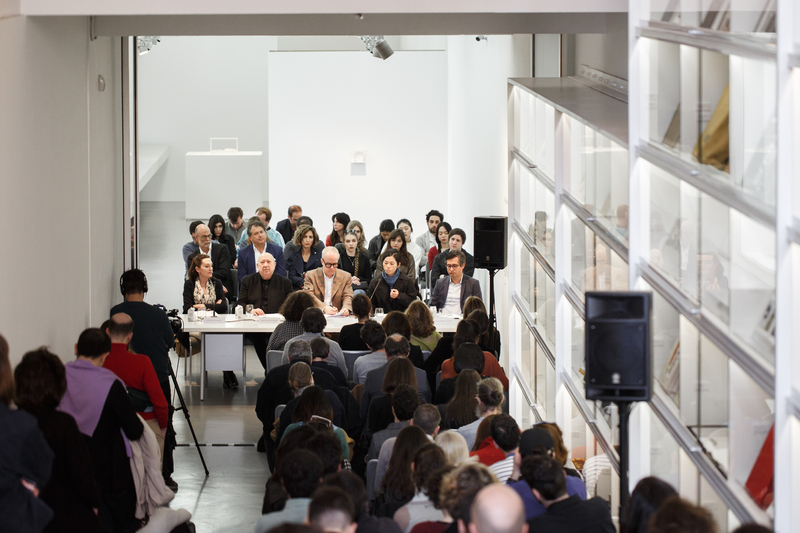 On 27 February Ivorypress hosted the panel discussion Artists and Books, with the participation of Christian Boltanski, Cristina Iglesias, Koo Jeong A and Jorge Méndez-Blake. 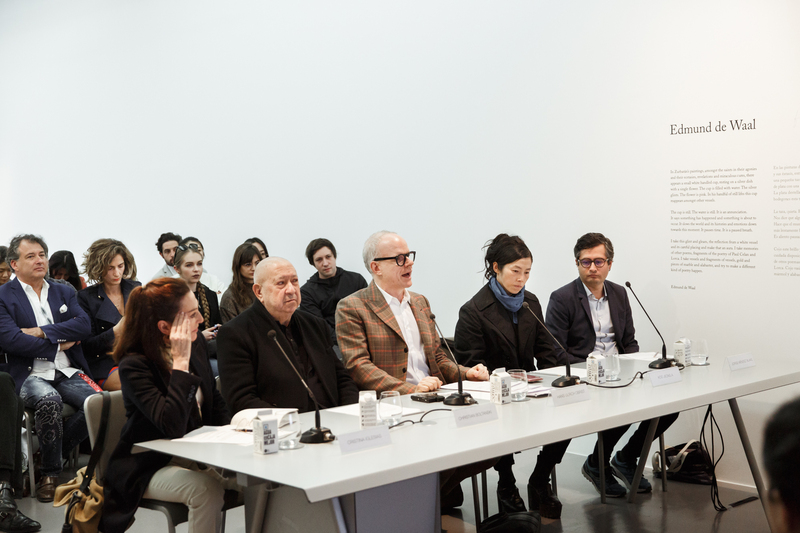 The panel discussion was moderated by Hans Ulrich Obrist. Christian Boltanski (1944, Paris, France) is a multidisciplinary artist known mainly for his installations, although he has also produced photography, film and sculpture, among other media. He explores life, death, and memory in his practice, as he blurs the boundaries between truth and fiction. 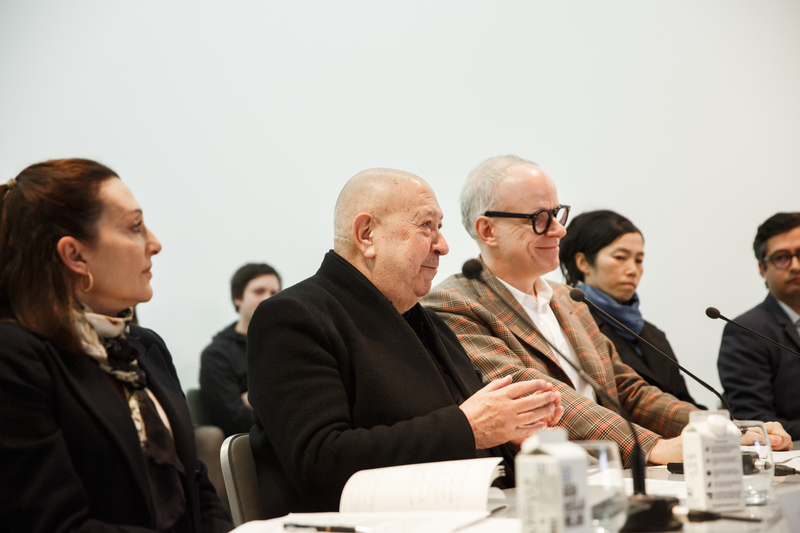 He has published a large number of artist books, twenty-seven of which are included in Ivorypress’s artists’ book collection. His work has been exhibited in some of the best museums worldwide and he represented France at the Venice Biennale in 2011. A major retrospective is currently on display in Japan, jointly organised by the National Museum of Art, Osaka, The National Art Center, Tokyo, and the Nagasaki Prefectural Art Museum, spanning his entire career from historical pieces to his most recent work. In November 2019, a major exhibition will be held at the museum of modern and contemporary in Paris, the Centre Pompidou. Cristina Iglesias (1956, San Sebastián, Spain) studied in San Sebastián, Barcelona and London. In 1988 she was granted a Fulbright scholarship to study at Pratt Institute, New York. In 1995 she was appointed professor of sculpture at the Akademie der Bildenden Künste in Münich and in 1999 she won the Spanish Premio Nacional de las Artes Visuales. She has represented Spain twice at the Venice Biennale, at the 42nd edition in 1986 and at the 45th edition in 1993; at the Biennale of Sydney in 1990; at the Taipei Biennial in 2003; at the SITE Santa Fe Biennial in 2006; and at the Folkestone Triennial in 2011. She has also represented her country at the World Fairs held in Seville in 1992 and Hannover in 2000, and at the 1995 Carnegie International, held at the Carnegie Museum of Art in Pittsburgh. She won the Berliner Kunstpreis 2012 awarded by the Akademie der Künste, Berlin; the Medalla de Oro al Mérito en las Bellas Artes; and she was awarded the Tambor de Oro de la Ciudad de San Sebastián. Her work is shown in museums and public spaces around the world. Koo Jeong A (1967, Seoul, Korea) has been working on the reinvention of spaces with site-specific works. Her pieces frequently include architectural elements, drawings, fictions, poetries, publications, installations, sculptures, films, audio works and architecture projects. Koo’s most recent project is a glow-in-the-dark skatepark series. She has held solo exhibitions at the Musée d’Art Moderne de la Ville de Paris (1994 and 1997); Moderna Museet in Stockholm (1998); Centre Pompidou in Paris (2004); Centre international d’art et du paysage de l’île de Vassivière, France (2007); and Pinksummer in Genoa (2008), among other venues. In 2002, she was a finalist for the Guggenheim Museum’s Hugo Boss Prize. Jorge Méndez Blake (1974, Guadalajara, Mexico) builds his practice around the intrinsic relationship between art, literature and architecture. His work has been exhibited in various museums and public spaces such as the Kunsthalle Mulhouse, France; Museum of Contemporary Art Denver and Museum of Latinamerican Art, Los Angeles, among many others. Collectively his work has been exhibited at the Musée d’Art Moderne de la Ville de Paris; Hessel Museum of Art, New York; Museum of Contemporary Art Santa Barbara; Blueproject Foundation, Barcelona; Marcelino Botín Foundation, Santander; La Casa Encendida, Madrid; in MAAT, Lisbon; and in Queensland Art Gallery, Australia, among others. He has participated in the Triennial of the National Gallery of Victoria, Australia (2017); 13th Istanbul Biennial (2013); in Saber Desconocer, 43 Salón (Inter) Nacional de Artistas, Museo de Antioquia in Medellín, Colombia (2013), and received the Cisneros Fontanals Art Foundation program grant, Miami (2012). He is the cofounder of Ladera Oeste, a non-profit independent art space created in 2016 in Guadalajara, Mexico. Hans Ulrich Obrist (1968, Zürich, Switzerland) is the artistic director of the Serpentine Galleries, London, and cofounder of 89plus. Prior to this, he was a curator at the Musée d’Art Moderne de la Ville de Paris. Since his first show World Soup (The Kitchen Show) in 1991, he has curated more than three hundred exhibitions. His recent publications include Conversations in Mexico, Ways of Curating, The Age of Earthquakes with Douglas Coupland and Shumon Basar, and Lives of the Artists, Lives of the Architects. Obrist has lectured internationally at academic and art institutions, and is a contributing editor to the magazines Artforum, AnOther Magazine, and 032C; he is a regular contributor to Mousse and Kaleidoscope, and he writes columns for Das Magazin and Weltkunst. In 2011, he received the CCS Bard Award for Curatorial Excellence, and in 2015 he was awarded the International Folkwang Prize.